The creativity and compassion shown by her academics liberated Dee to realise her potential, developing critical bakery skills from food safety packaging to colour and design: “I now look twice before throwing any ingredients away to see if they can be used as a new texture, and working with shapes to produce amazing colour designs is also a skill I will always treasure. I learnt so many new skills throughout my time at LSBU that I use in my baking and decorating career.” One of those skills includes the passing of knowledge she gained from the National Bakery School to up-and-coming bakers as she also teaches her own classes in the back of the Dee Light Bakery, including basic cupcake to fairy magic modelling lessons. One of my tutors was an absolute fountain of knowledge and an amazingly patient teacher who took time for everyone regardless of capability, culture, status or experience. 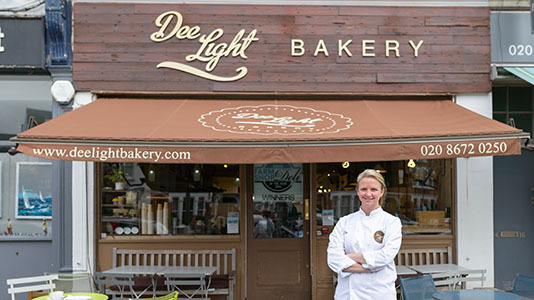 Whilst Dee sometimes pinches herself that her journey from Sydney has brought her to the historical streets London, she still has ambitious plans for Dee Light Bakery. “I absolutely love living in London," she remarks. “It has such history and you can find every type of traditional and modern food here. I’ve started employing more staff so I have more time to concentrate on our second site, which is now up and running and is more focused on the wholesale side of the business." Dee's expansion has meant hiring some more members of staff. 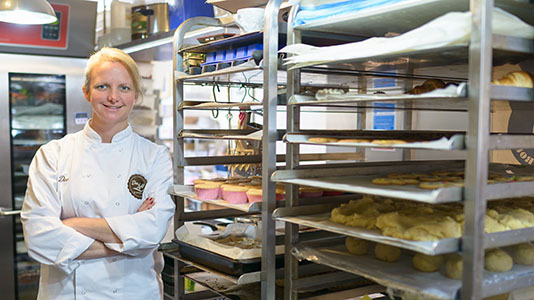 "In fact have employed a lot of students from the National Bakery School as I know first-hand what they have studied and how great the tutors are!” she says. "I have two volunteers too, that help out with the teaching part of the business, and I love working with them and passing on my passion to them. 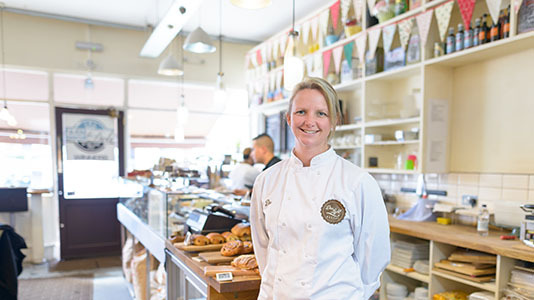 I'd be so happy if any of my staff were eventually able to open up their own places too." In this job common sense is key, but you also need patience and confidence to deal with people effectively. I love building relationships with people - customers, staff and other companies. 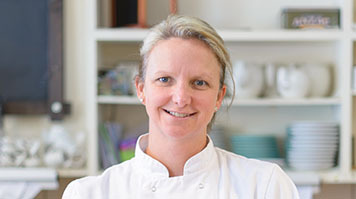 Dee acknowledges not everyone was born to bake: "You can't teach it, you have to have a passion for it. The hours are anti-social and it's hard graft, but I love it. "If you have a dream just go for it," says Dee. 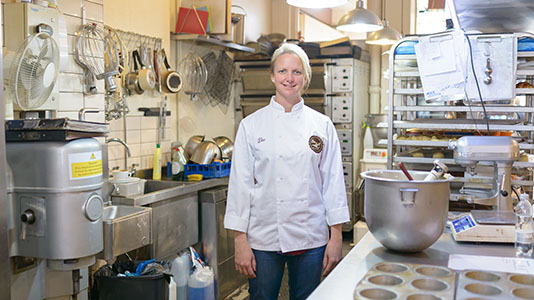 "I've been working on mine for the last 16 years - from a small cake delivery business to where I am today. Doing market research really helps too, and I know my sector inside-out." 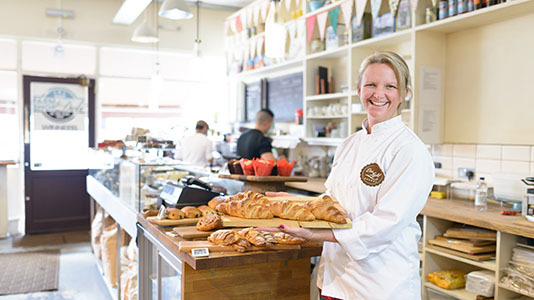 Find out more about the award-winning Dee Light Bakery and the FdSc Baking Technology Management.